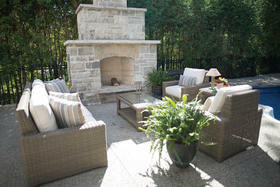 Stunning craftsmanship and design in Freelton near Hamilton. 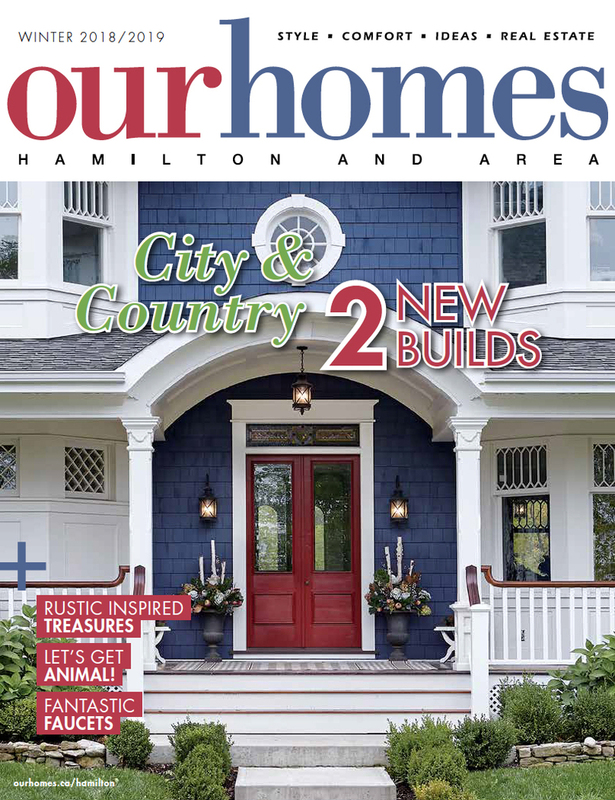 A version of this article originally appeared in the Winter 2018/2019 issue of OUR HOMES Hamilton and Area, p.24. Find local businesses in our Hamilton directory. 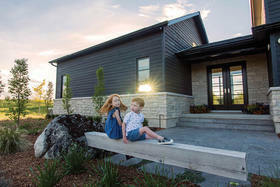 When Karen and Craig Jackson first spotted this 102-acre property in Freelton, there was a sense not only of calm but also of history. The home they built reflects all of that. 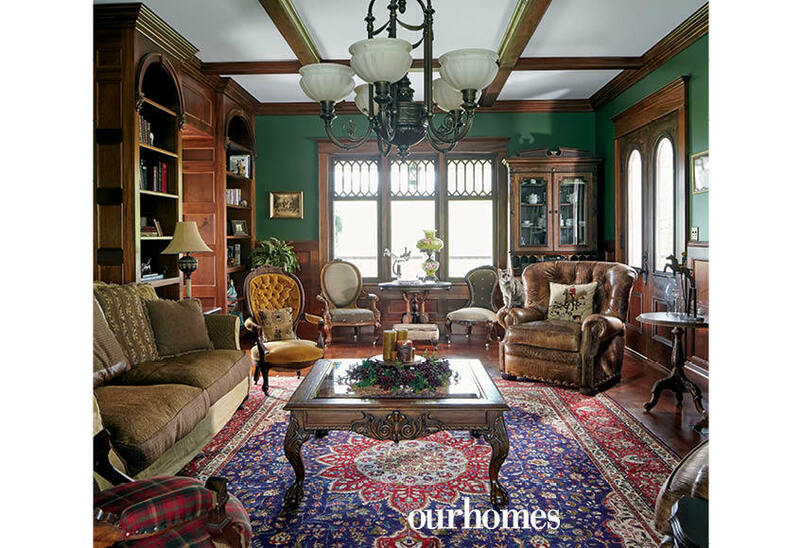 It is comfortable and inviting, with hints of an intriguing past in the curated antiques, lovingly crafted replicas and reclaimed local materials. “Our goal was to build to about 1910, the Edwardian era,” says Karen. 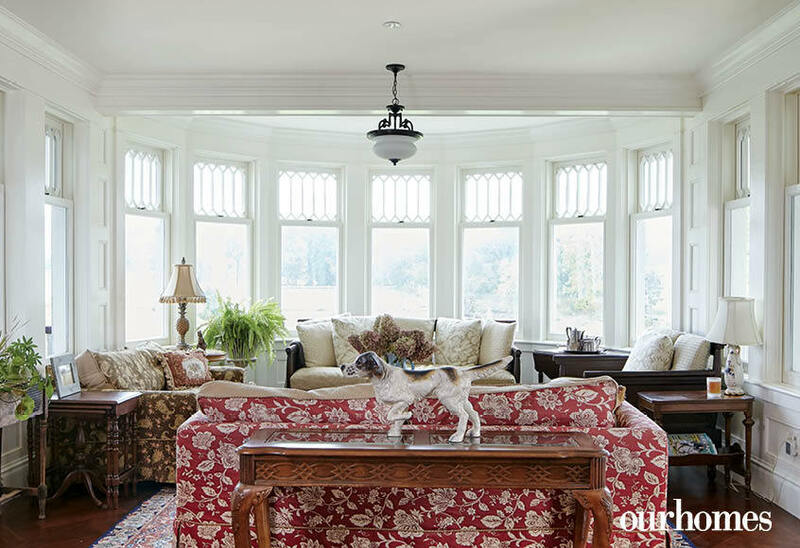 “It’s not as fussy or ornate as the Victorian period, but buildings still have those nice large mouldings.” Karen and Craig took their time finding just the right pieces to inspire their home’s design. For example, at an antique show Karen came across a set of exterior windows she absolutely loved, with diamond, lozenge-shaped glass inserts. 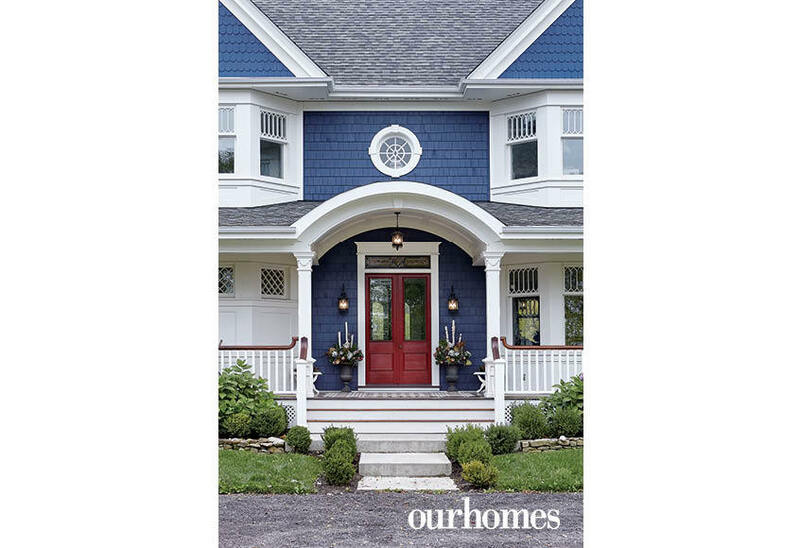 They then had all 99 of the home’s exterior windows made to match the antiques, but updated for safety and insulation, while the original inspirations were installed in the garage. The home’s front doors have a similar history. 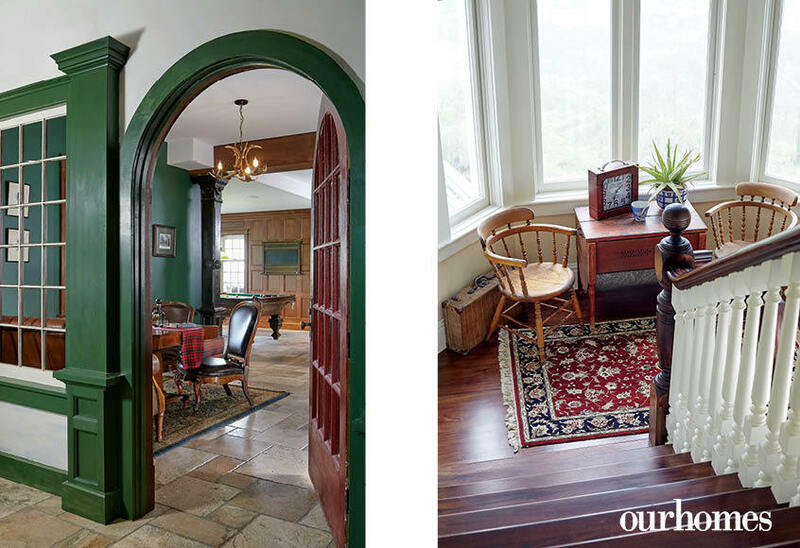 “I bought a set of antique doors for our main entryway and then had them retrofitted,” says Karen. 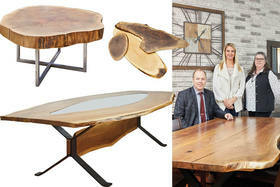 Inside, the couple took the same care in blending the old with the new, with a focus on craftsmanship and authenticity. Mahogany floors in an oversize parquet pattern add an authentic period touch. 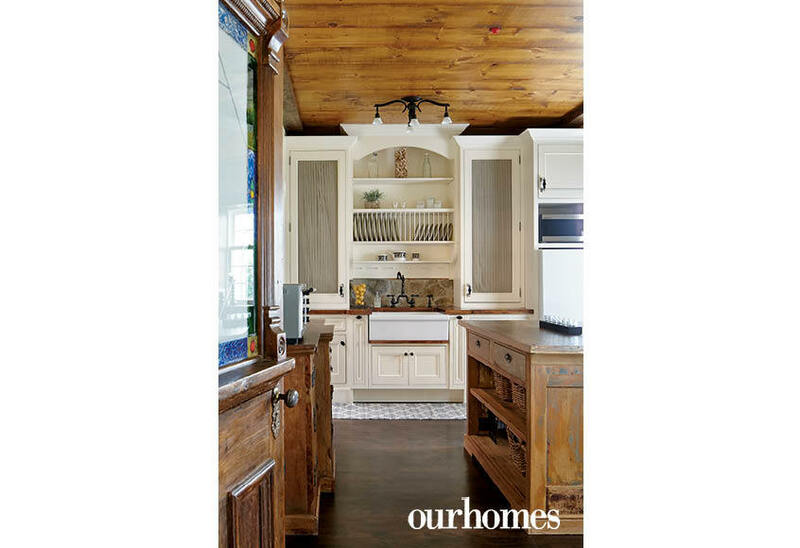 Patterson’s Custom Cabinetry Ltd. worked magic in the kitchen, marrying display cabinets with ample storage. They added a herringbone pattern in the dining room as well. 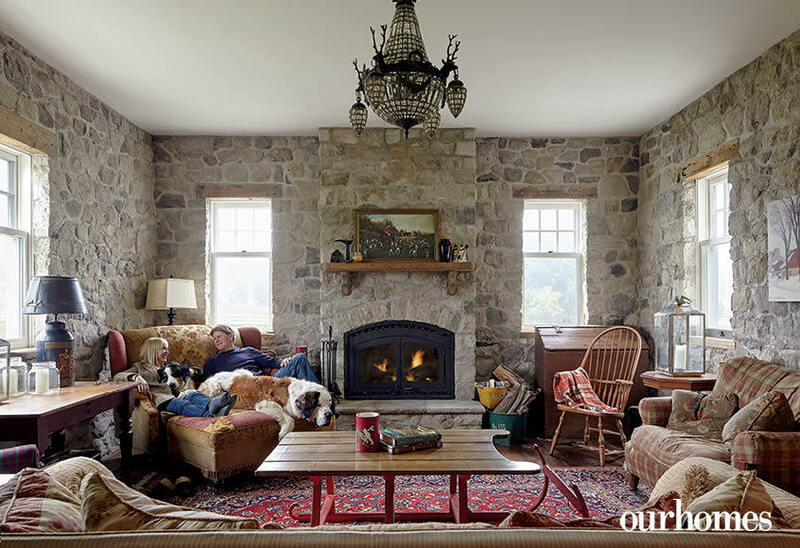 In the family room, walls built entirely from stones found on the property make the room feel like it’s been around for ages. The reclaimed floorboards bear scratches and saw marks, hints at their previous life as beams in a local factory. 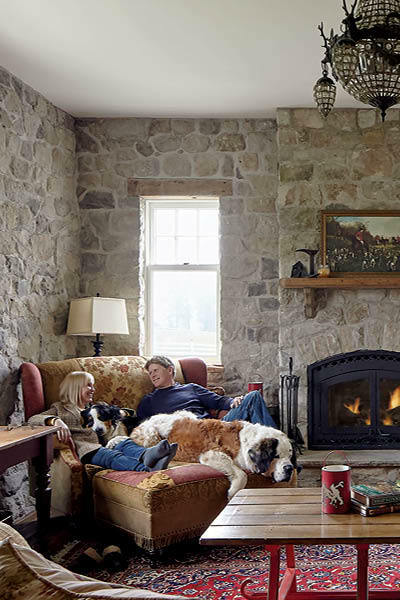 “Maybe it’s the floor and walls, or the overstuffed furniture or the warm colours, but when we have a fire going in this room in the winter, it’s my favourite spot in the house,” says Karen. They carefully sourced lighting throughout the home that corresponded with the period – a pair of striking black chandeliers and other lights were sourced at Antique Market. 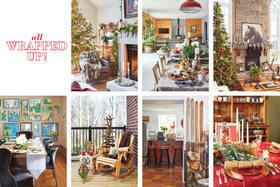 The inspiration of the home’s design came from a magazine Karen had kept for a number of years. The couple sketched a few ideas of their own and their architect, John Willmott, weaved it all together. This stately home outside Hamilton was built with the Edwardian era in mind. “It’s not as fussy or ornate as the Victorian period, but buildings still have those nice large mouldings,” describes the owner. 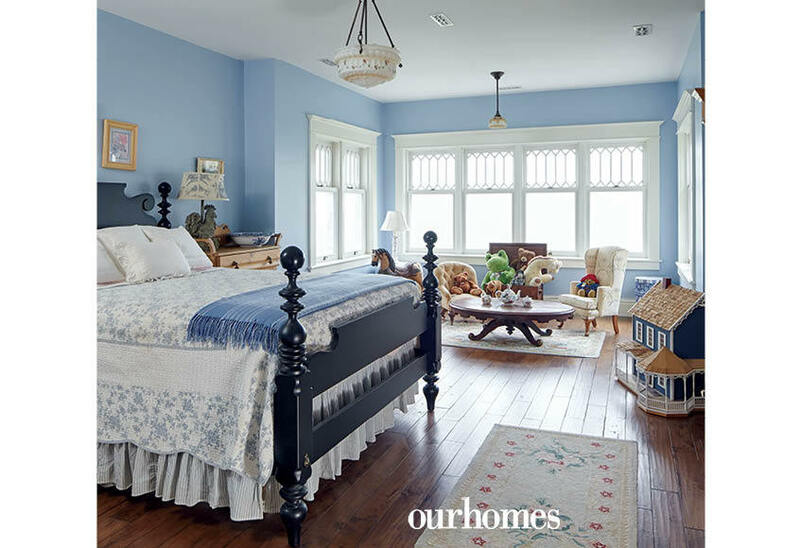 A lovely blue is bright while trim and a large wraparound veranda are in white. 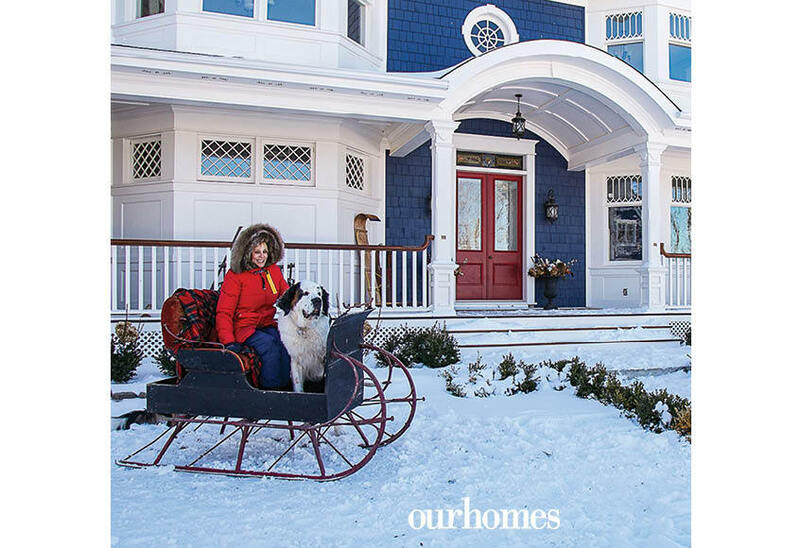 The family and Saint Bernard, Atticus, enjoy winter fun on the property. 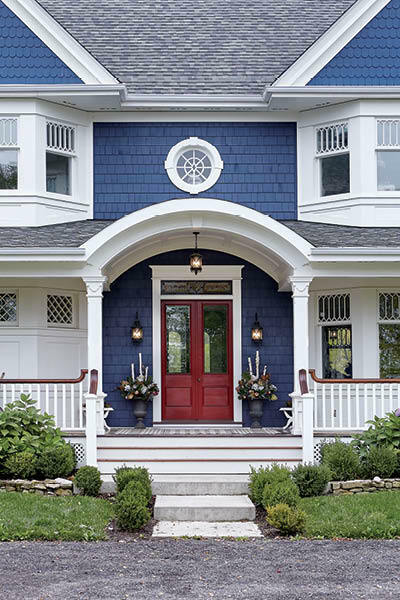 A set of red, antique doors were retrofitted for the main entry with updated windows. Every feature is considered. The chandelier and two sconces in the library are reproductions from the Smithsonian, part of the Kichler Smithsonian Collection. Cosy, the family cat, perches on a leather armchair. The “WC” under the stairs looks like an armoire when the doors are closed. Inside, it’s all about detail. 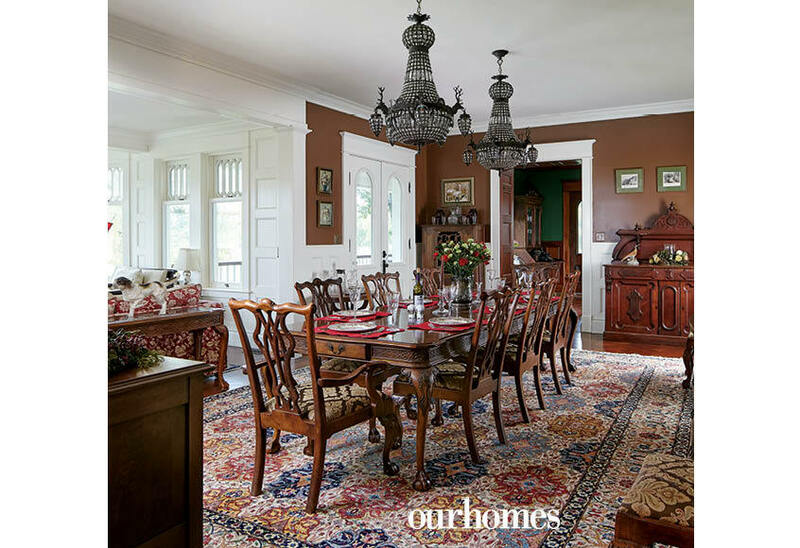 A large and colourful rug in this traditional dining space brings out the rich wood tones in the antique claw-foot furniture. A pair of antique black chandeliers lights the room. The rounded sunroom off the dining room is a great spot to appreciate the surrounding countryside. Three styles of sofa are easily unified with their mixed floral patterns, deep cushions and rich wood side tables. 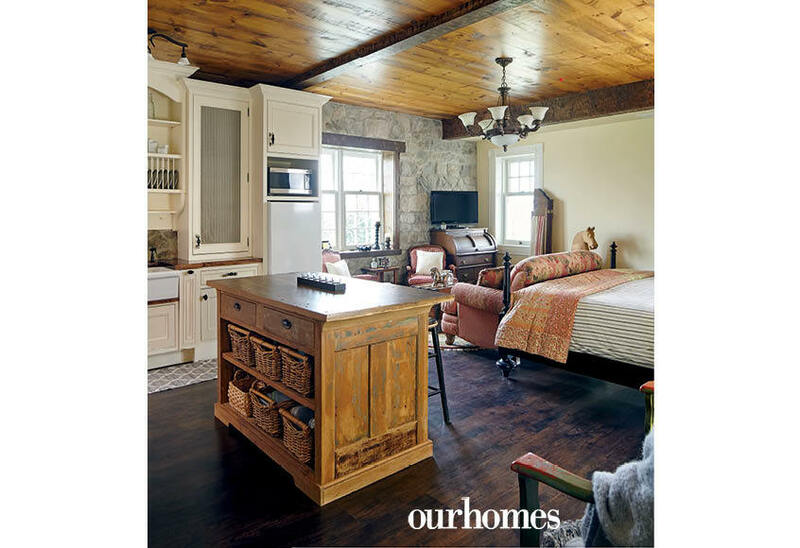 The owners of this Hamilton-area home have incorporated timeless and history-rich elements into the new build. The family room walls were constructed entirely from stones found on the property. 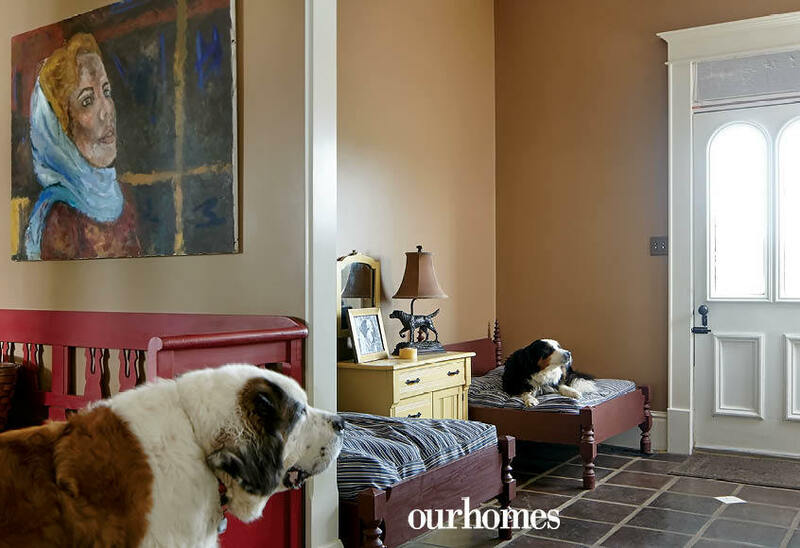 Oversize furniture with deep cushions means there is loads of room for humans and dogs, including St. Bernard Atticus and fur friend Geneva. A guest suite on the lower level is outfitted with a full kitchen and every convenience while in keeping with period design. 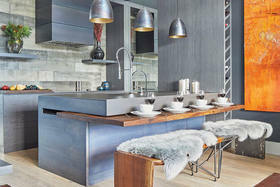 A sitting area, kitchen and sleeping area share the space. Display cabinets marry easily with ample storage in this Edwardian-era replica kitchen. Impeccable craftsmanship means new plate racks and an apron sink feel as though the home has been loved for over a century. 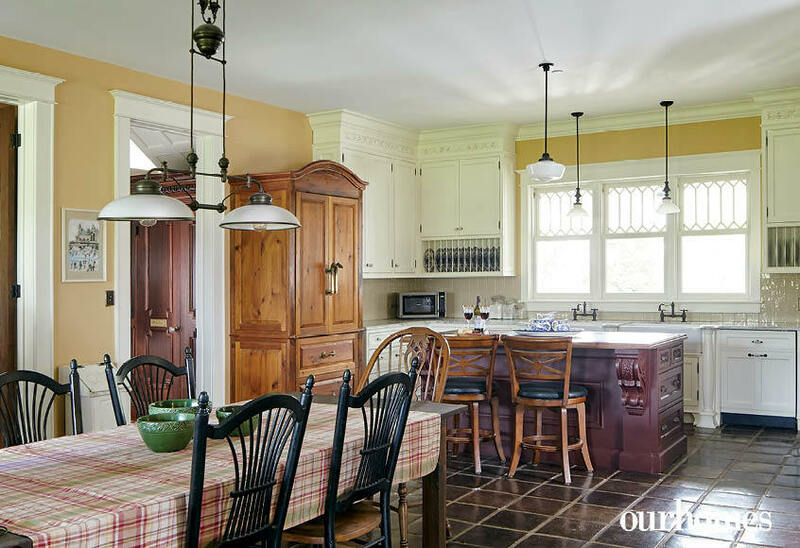 Guests are always welcome – a harvest table in the yellow and deep burgundy kitchen provides lots of seating. Fur friends Atticus and Geneva have their own beds, and even a shower stall. A fun English-style pub, with seating for 25 friends and family, opens off a downstairs streetscape. Two sets of stairs in the home each feature turned spindles based on an antique handrail Karen brought home. 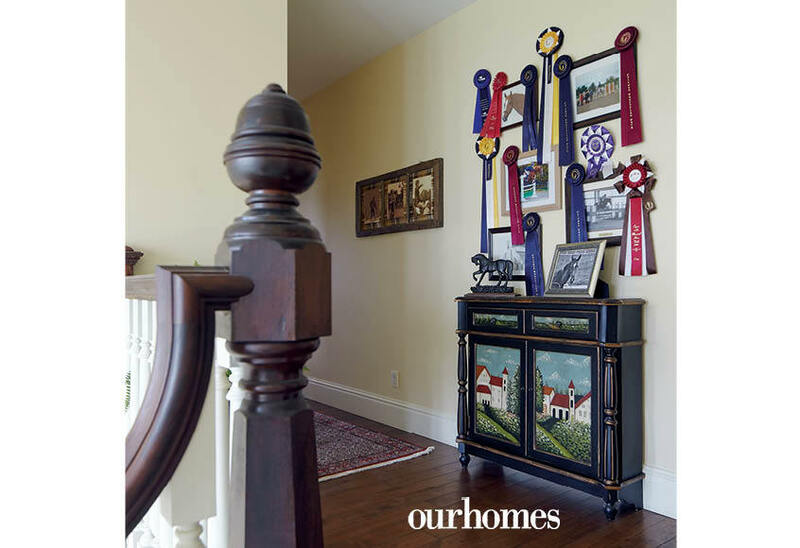 The upper hall offers a space to show off the family's show-jumping ribbons and awards. 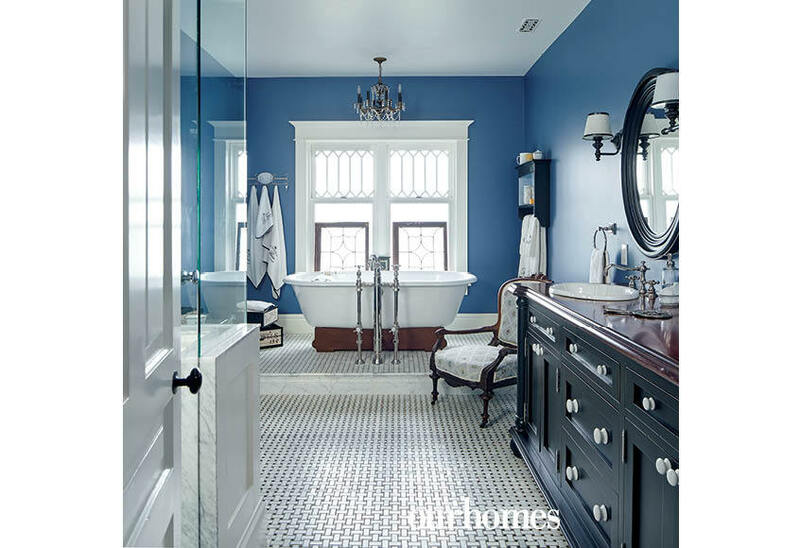 Exposed chrome pipes and chrome faucets add yet another element of beauty in the blue master bathroom. 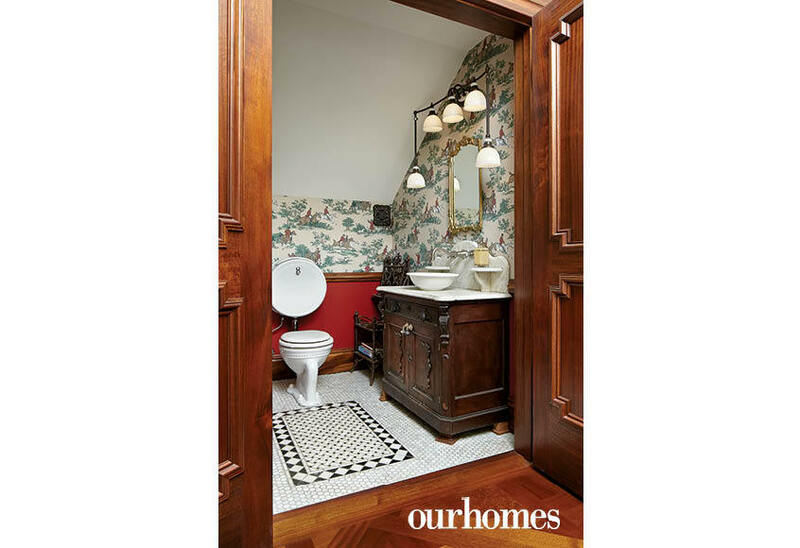 Basket-weave tile and a furniture-style vanity give it timeless elegance. 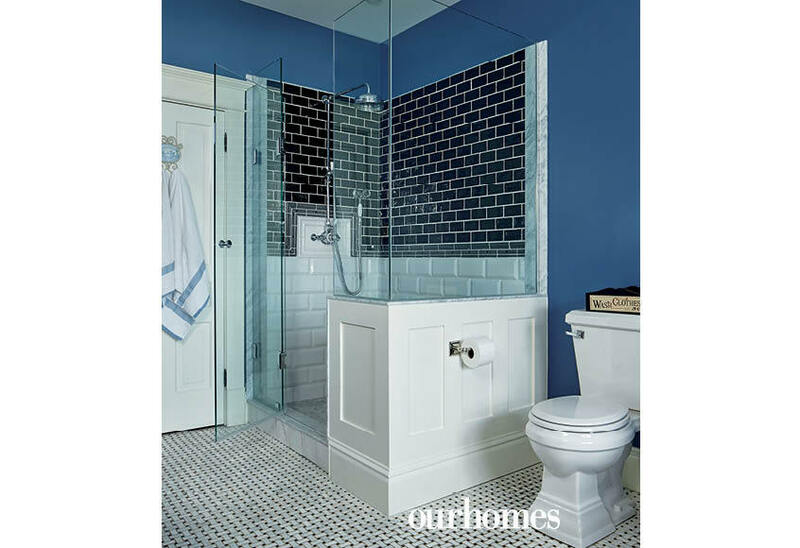 The master bathroom's floor is in basket-weave tile, while the shower gets a mix of glass walls and lower-white, top-black tile. 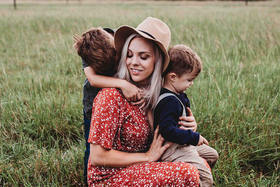 With seven bedrooms plus a ready nursery, everyone in this blended family feels like they have their own spot. This blue room has children-size armchairs and a dollhouse in blue, just like the house. Karen and Craig both enjoy riding, however Karen likes her horses to keep their feet on the ground! 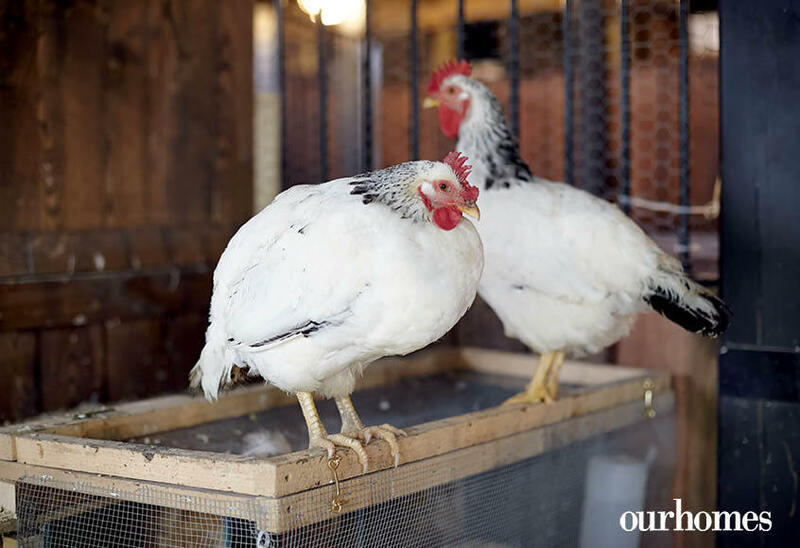 Fun with chickens! The cast includes Audrey Henburn, Eleanor Roostervelt and Chick Norris.